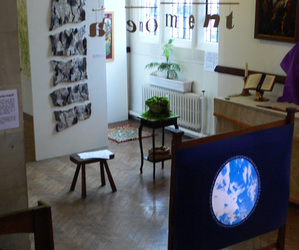 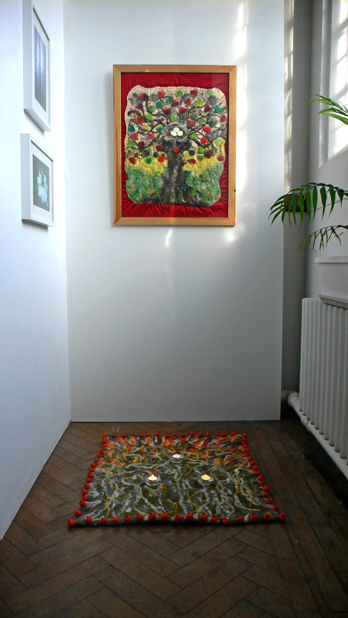 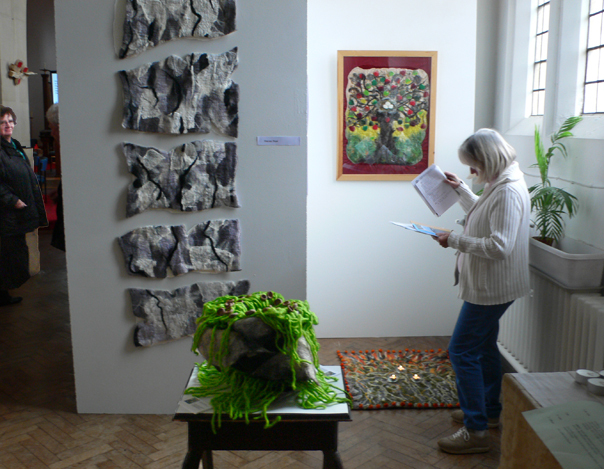 Eight artists with responses to creation and contemporary human and natural worlds – at-one-ment was an open submission exhibition at St Michael's during Lent and Easter periods that I designed and curated. The show opened with church events at Passiontide weekend in late March, and continued on through Easter to late April. 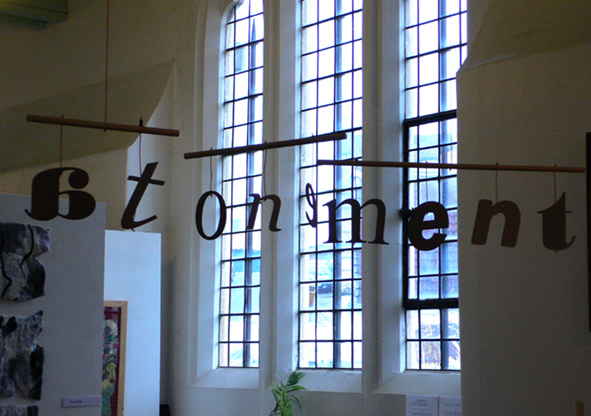 Passiontide weekend events included At One with Creation Eco conference, and a performance of Neville Boundy's Passion play Father & Son : Son & Father. 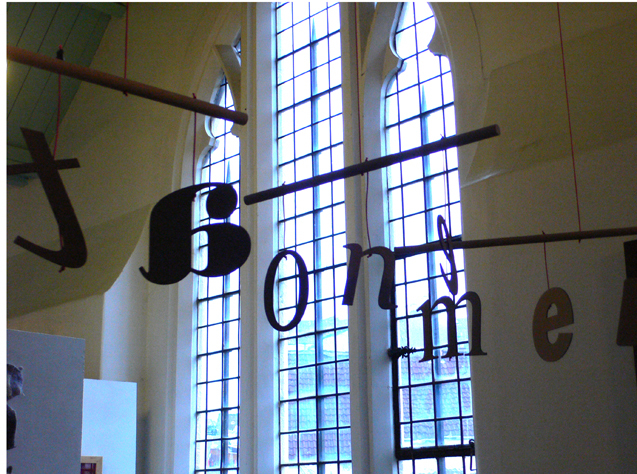 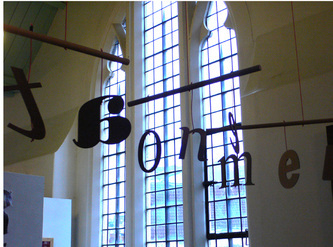 Exploring the Middle English and Old French roots of today's English term 'atonement' as 'at/one/ment', artists' works resonated both with the conference themes of sustainable energy and local green care, and with Neville Boundy's script as expressed in Elwyn Johnson's direction. 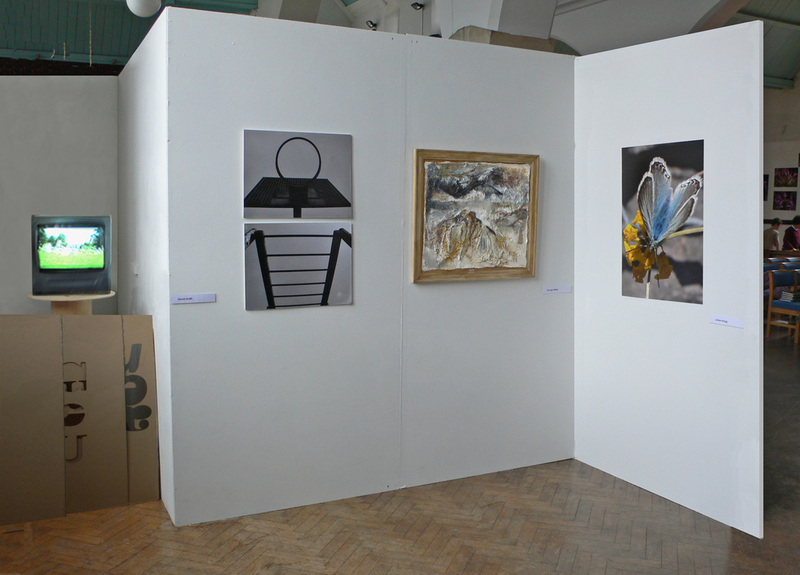 For the show we provided white-painted 4' x 8' chipboard so work could be hung to standard. 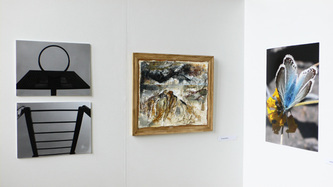 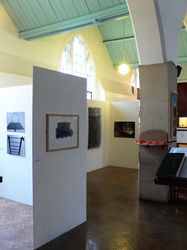 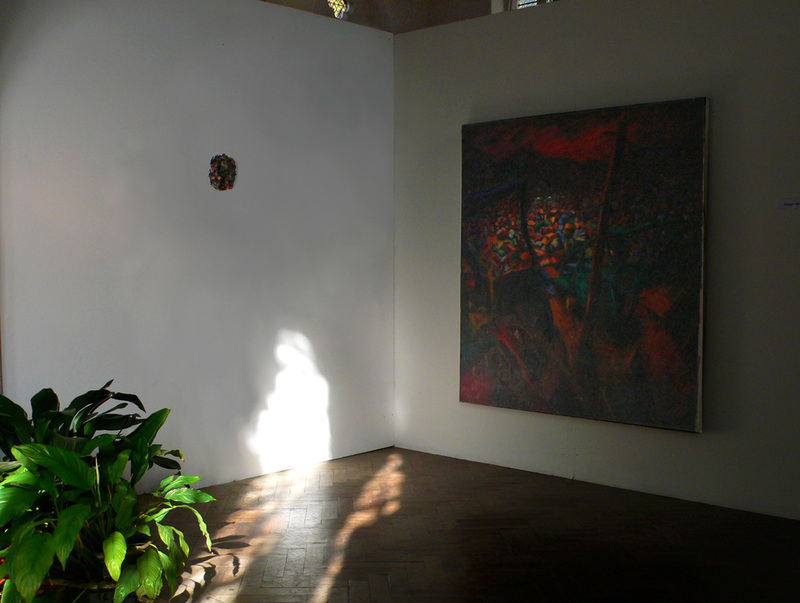 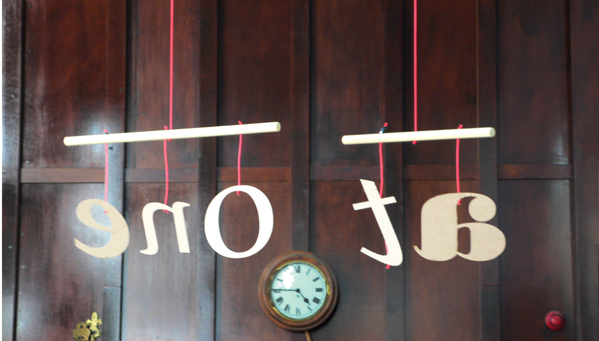 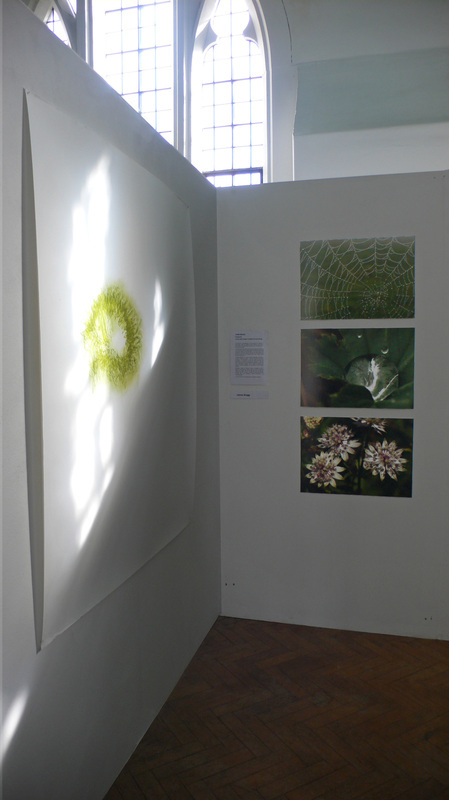 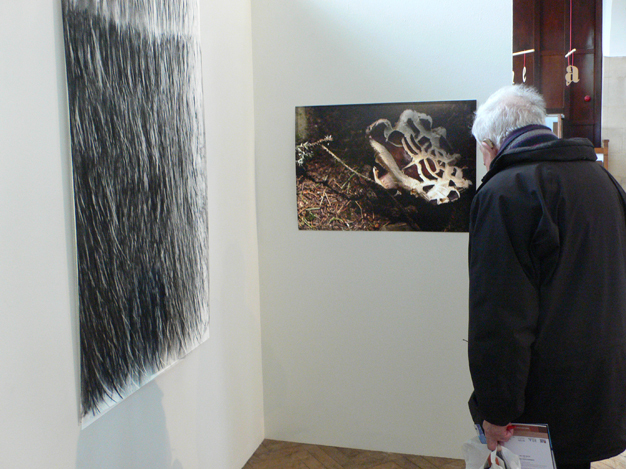 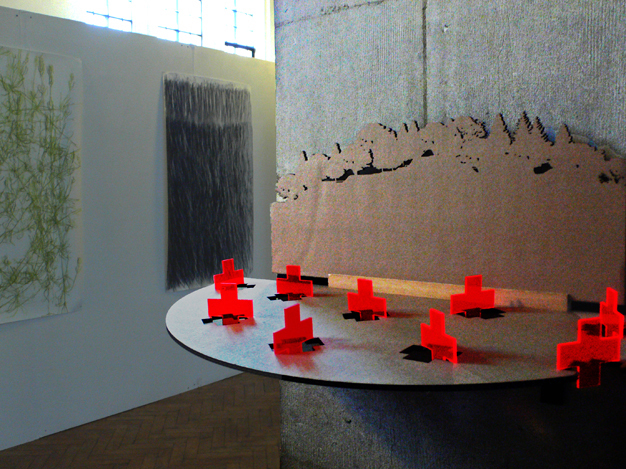 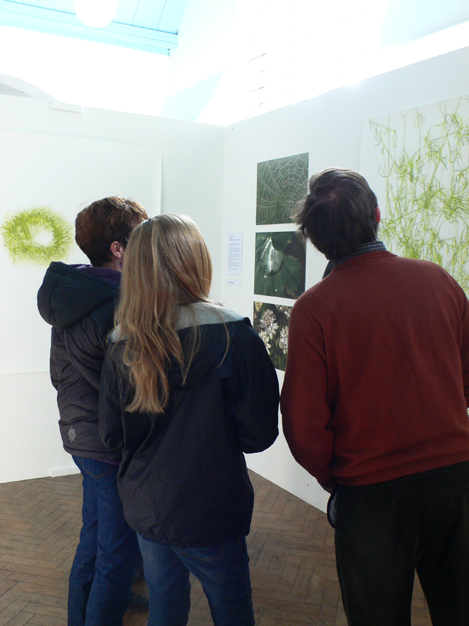 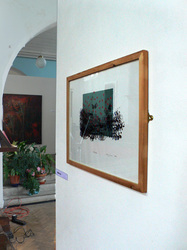 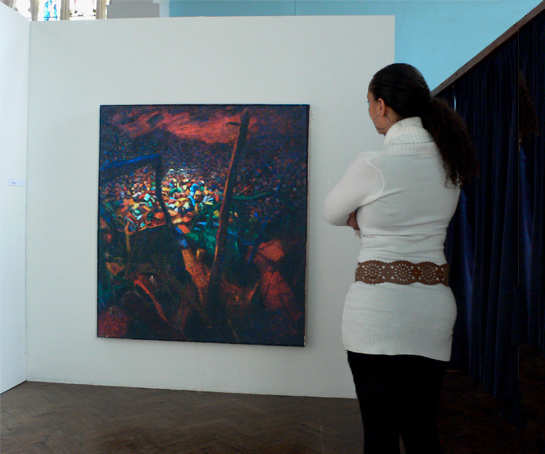 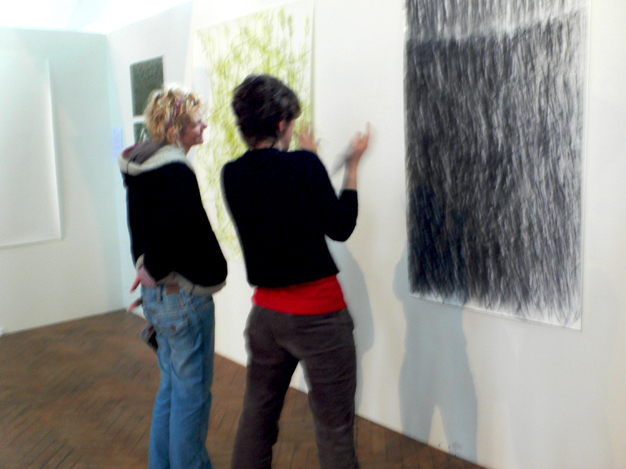 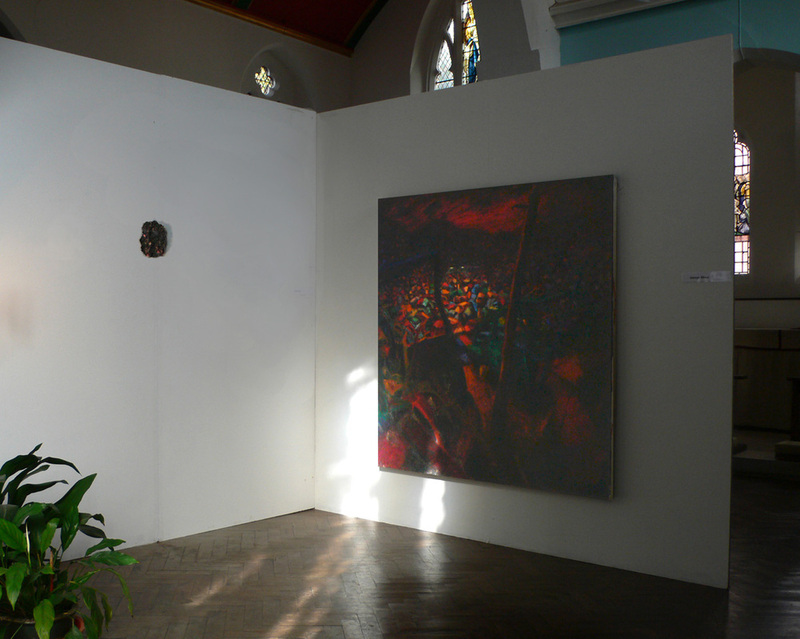 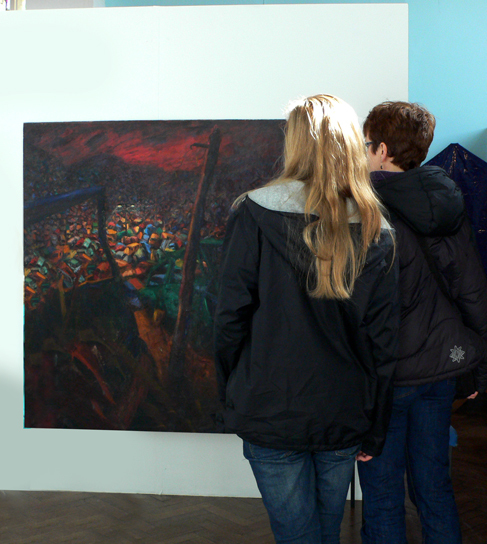 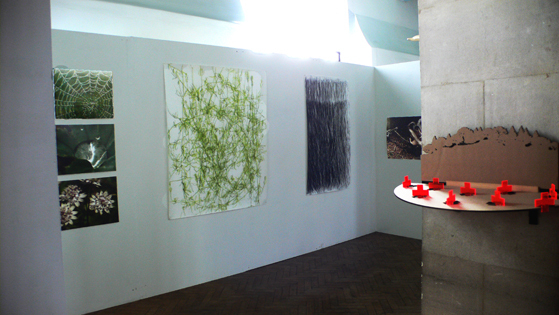 Below are images of the hang and exhibition. 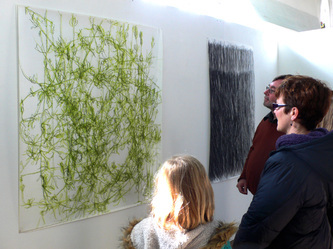 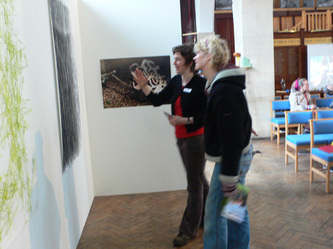 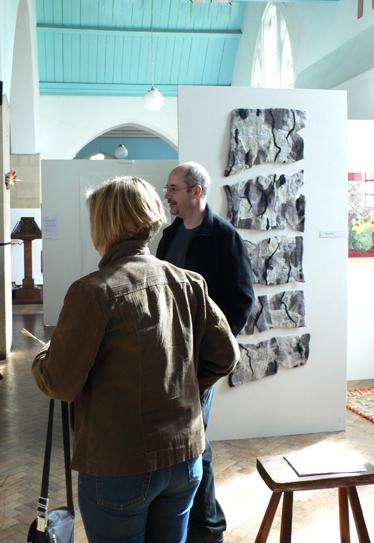 The boards proved useful for later art trail exhibitions.